Farmers across the nation may soon be able to add hemp to their fields. 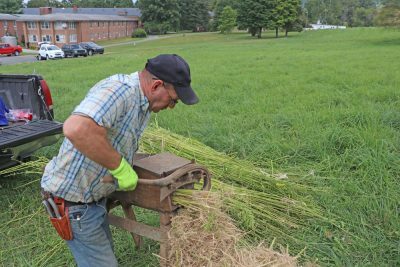 In an effort spearheaded by Senate Majority Leader Mitch McConnell, the Senate’s version of the Farm Bill passed in June with a provision removing hemp from the U.S. Drug Enforcement Administration’s controlled substances list. Although the House of Representatives’ version of the Farm Bill does not mention hemp, Sen. McConnell is expected to push for its inclusion in the final bill. 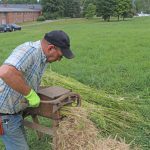 “Although it was a foundational part of Kentucky’s heritage and today you can buy hemp products at stores across the country, most American farmers have been barred from planting it in their fields,” Sen. McConnell said in a press release. Hemp has been used for thousands of years to create paper, textiles, rope and more. But because hemp is a close cousin of marijuana and contains miniscule amounts of THC — the psychoactive compound that gets marijuana users high — growing hemp was outlawed in 1970 under the Controlled Substances Act. The 2014 Farm Bill legalized state pilot programs to research growing hemp under 0.3 percent THC. 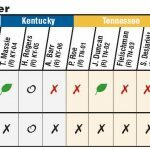 According to NORML, the National Organization to Reform Marijuana Laws, 40 states have passed legislation authorizing hemp cultivation for research or commercial purposes, including Kentucky, North Carolina, Tennessee, Virginia and West Virginia. 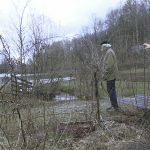 “If you put money in a farmer’s pocket, you know where they’re going to invest; which is right there on their farm and in their community,” Leach says. 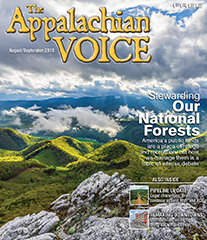 Bruce Perlowin, CEO of Hemp, Inc., a hemp processor in Spring Hope, N.C., states that growing hemp is making use of land leveled by mountaintop removal coal mining in Kentucky. “They’re converting old coal territories … into greenhouses that are going to produce [medical cannabis oil], which is where most of the money is right now in the hemp industry,” Perlowin says. A former J.C. Penney in Bristol, Va., could soon be converted to a medical cannabis growhouse and cannabis oil dispensary if local firm Dharma Pharmaceuticals is awarded one of five state licenses to grow cannabis and sell the extracted oil, according to the Bristol Herald Courier. 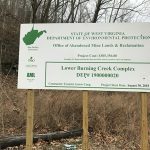 The five licenses correspond to each of the state’s five health districts, and Dharma is competing with eight other applications for the Southwest Virginia district. A decision is expected in mid-August, and the facility would be open by late 2019 if approved. In March, Virginia Gov. Ralph Northam signed a law expanding legal defense of possession of medical cannabis oil from only patients with intractable epilepsy to patients with any diagnosed condition. While this does not make the oil legal, it allows doctors to sign certificates that the patient may present to avoid legal prosecution. Currently, patients have to take specific measures to obtain medical cannabis oil while the state reviews the 49 submitted applications for the five dispensary licenses. “It’s perfectly therapeutic to most palliative applications — so mild pain, general insomnia, mild anxiety, mild nausea,” Michelle says. However, she states medical cannabis oil under 5 percent THC is insufficient as an alternative to opioids or for more severe medical issues like post-traumatic stress disorder.